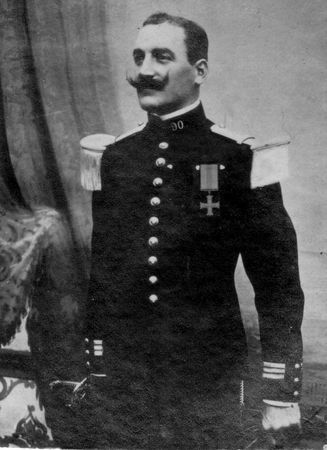 March 1916: Photography of Henri Baudiment, Lieutenant (Temporary), in dress uniform. On the Left Bank of the Meuse River, the 90th Infantry Regiment took part, starting on the 21st April 1916, to the very intense fights of the "Battle on the Wings". 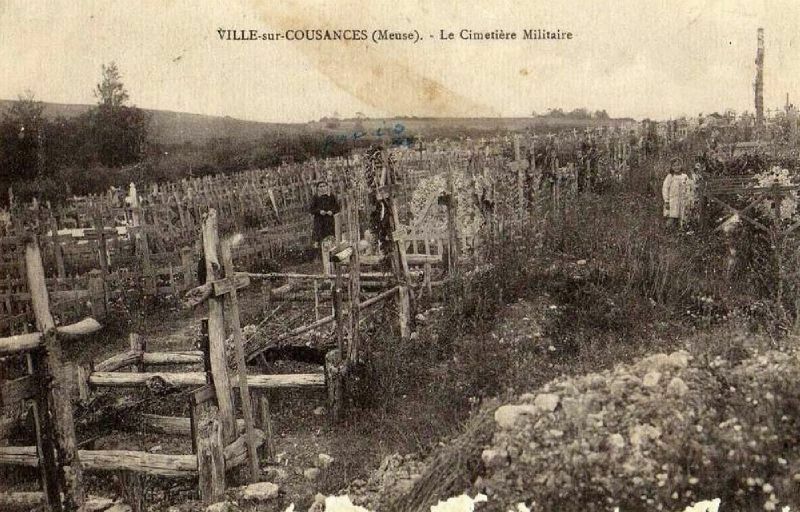 On the 22th of April (it was the Holy Saturday), the 1er Batalion was defending the right front of the Regiment, in the bottom of the Ravin de la Hayette [namely: "Ravine of la Hayette"], in connection with the 161st Infantry Regiment, who was defending the western slopes of the Mort-Homme [namely: "the Dead Man"]. The losses were very heavy. 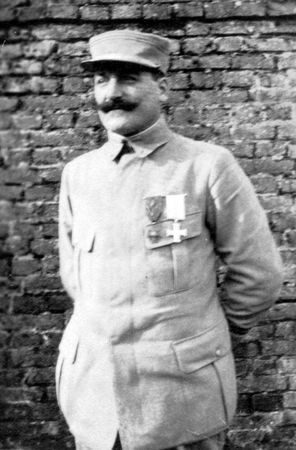 Henri was mowed down by an 88mm Austrian burst firing, while he was on the front, commanding his musketry and ordering his men to fire at the attack of the German infantry, which had been launched by 4:15 pm. The attack did not come closer than 200 meters from the barbed wires, then was stopped. Panoramic view, taken from Hill 310: on the left, Hill 304; in the center, the Ravine of "la Hayette"; on the right, the "Mort-Homme". "...On our lines, the shells keep on detonating. By 7:00 pm, a lull occured. Two officers are reported killed in action [...]. The Germans have been attacking in waves, then been stopped by our musketry, and by an accurate fire barrage. The Colonel is waiting for complementary reports. They reach us. Captain B[audiment] has been killed, five lieutenants have been wounded. 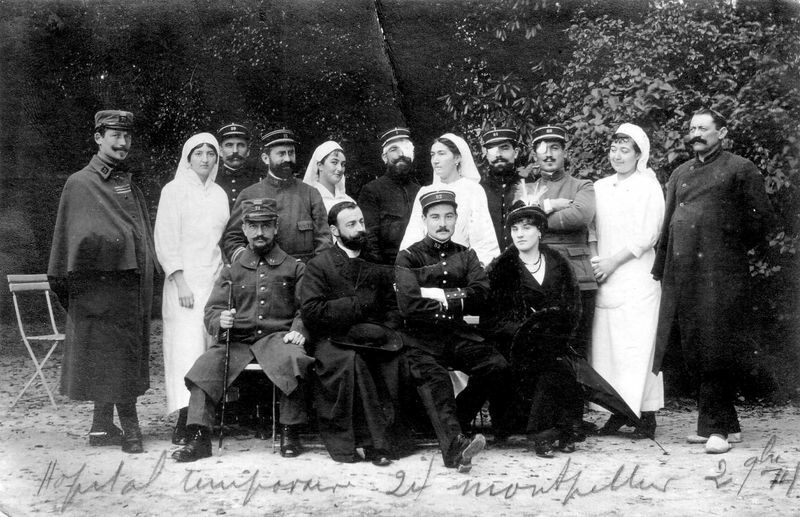 Amongst the troops, 150 wounded, 80 killed and some missings in action. [...] Captain B[audiment] had his head swept away by a shell, during the attack, when he was ordering: "Fire as required!" [...]." 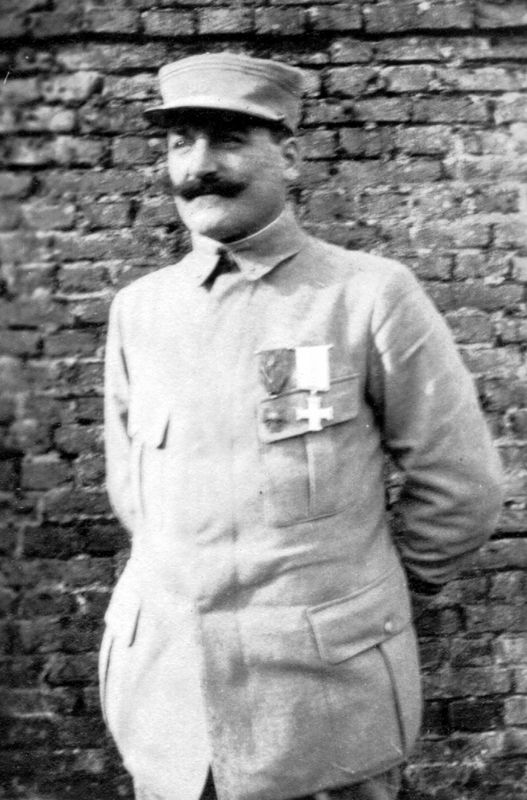 April 1916: Last photography of Henri Baudiment, Capitaine (Temporary), mess kit. "Officer endowed with an unfailing bravery, doing a lot countlessly to the benefit of his men, to whom he had passed on his fighting spirit and his disregard for death, gloriously fell down, on the 22nd April 1916, during an attack that the enemy was conducting towards the front of his Company". He had just been appointed Captain (Temporary), on the 30th March 1916. Henri was buried, on the very following day, Sunday 23rd of April, which was Easter Sunday, in the communal cemetery of Jubécourt. 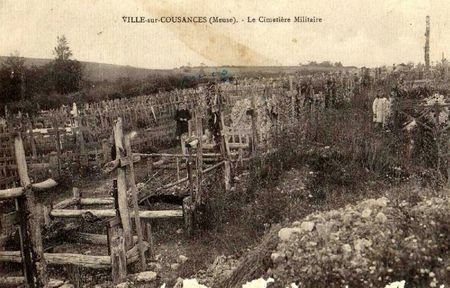 He rested there until the 27th of January, 1931, when his remains were transferred towards the National Necropole of Ville Sur Cousance (grave #948), where he has been peacefully lying, since then.